The one of the rules of golf is about etiquette, but what is it? Etiquette is a fundamental right that applies to you and other fellow golfers. Here's a guide unwritten rules of golf to help get the most out of your game and also for others. 1. Be prepared to hit on your turn. Prepare your club, balls, gloves and tee ready to play - to speed up the game. 2. Turn off your cell phone (silent) - some golf courses do not allow bringing it on the field or in the clubhouse anyway. 3. Stand steady and keep quiet when other people are getting a turn to play and make sure your shadow does not overshadow in their line of sight. 4. Wait until the group in front out of range before you play / hit. 5. Stand facing people who are playing, but behind the line of the ball - you should not be in the path of the ball and it is the safest place. 6. Check the local regulations behind the score-card before tee-off. 7. Keep the golf cart and buggies / carts from the tee and the green. 8. 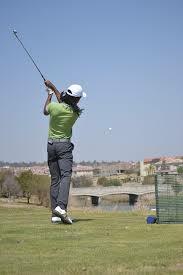 In a stroke-play game, the tee-off on each hole is determined by the value of the best on the previous hole. The person with the best score has the 'honor' and hit in the tee-box first, followed by the second best score and so on. In match play, a person or couple who won the previous hole had the honor at the next tee. 1. After the blow from the tee-box, the player farthest from the hole will play first. 2. Replace your divots, fix the severe wound bunker and used the ball on the green. 3. On the green, avoid standing on the line of another player who was putting. 4. When approaching green, note where the next tee and leave your clubs on the side of the green when you putt. 5. In match play, the ball must not putt usually occurs when the ball 'in around the pit'. That means the distance between the hole and the ball less than the putter head and the bottom of the grip. You think, if the putt is important then it is OK to see if it can face the pressure! 6. Write down your score on the card in the next tee while you are not in a turn playing and not on the green. Scores will not change. 7. If you think losing your golf balls, play a second ball 'provisional' from the same place to save time running back to the place you started if you lose the first. It's no loss whatsoever. 8. If you hit a ball into the rough, note a point in the line where you last saw the ball and walk directly to it. Hopefully you will find it easier and will also speed up your game. 9. If you accidentally hit your ball toward others, warn them to yell 'Fore! "Raise your hand upwards as another warning, especially if you are shouting against the wind or lack of capacity of your cries. Golf is all about friendship and relationship with people who play with you. Follow the steps of this ethic; you will always have someone to play golf with you. 1. When your swing is fail, do not necessarily swearing with obscenities, slamming the stick, it tested the ability of your flight hours and also your patience. Your partner is trying to enjoy their day, even if you're not. Loss means you lose the tranquility play a cool game. 2. Do not yelling and doing stupid things if you play failed - the others may be concentrating on doing their game around you. 3. If you are a group of one hole behind the group in front and there are other groups in the back, you have to let them play ahead of your group. Two-ball group has priority over all other players pitch. If you allow them and then let them through - someone will return the favor to you one day. 4. If you are looking for a lost ball, you have 5 minutes to find it. If there are other groups in the back, let them through when you look for the ball from the resist them. 5. If you meet with the group to play in the club's official matches or competitions while you are not, you have to let them through regardless of the situation at the front. 6. If you're ready, do not hit your ball into the group in front to accelerate urge them, even if they deserve it. 7. If the play in the ball game four-ball better it is usual to change the order of tee off between you and your partner at the tee 10. 8. When playing foursome, couples who do not - play going ahead in anticipation of its stroke play. It is intended to make the game in order to quickly move! 9. After you finish the game round, shaking hands with your partner, "Games are a good, hopefully better for the next, etc. ", and remove the cap as you usually do. That's all about the unwritten rules of golf.